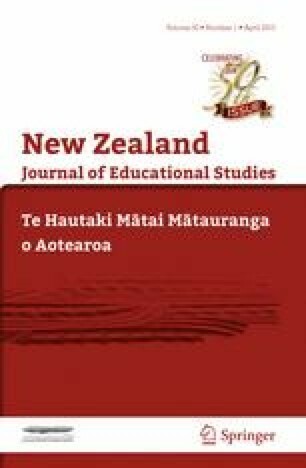 This year the education research community in New Zealand is celebrating fifty years of the publication of the New Zealand Journal of Educational Studies. In this article, it is argued that the half century has been bifurcated by the shift from social democratic discourses of equality for all, to a market choice model of schooling after 1989. This article will explore the social and institutional effects of the policy change on the schooling system, especially in the context of a more unequal society. Key findings include the general diaspora, especially but not only by pākehā, from low decile schools. Schools in the bottom four deciles are all now much smaller on average than twenty-five years ago, and there is no sign of that unequalising process slowing down. Those schools are likely to be very heavily populated with children whose families live below the poverty line. There are social, ethnic and educational implications of the school population shift. Further, choice models have proven to be remarkably enduring and resilient. Bryant, J. (2014). Will anyone stop charter school correction. Downloaded 9 April 2014 from http://ourfuture.org/20140626/will-anyone-stop-charter-school-corruption-2. Education Review Office. (2012). School report Hornby High School. Downloaded at http://ero.govt.nz/Early-Childhood-School-Reports/School-Reports/Hornby-High-School-03-05-2012. Hartevelt, J., & Moir, J. (2014). ‘Poorly targeted’ school decile funding may be scrapped. Retrieved on 5.4.15 at http://www.stuff.co.nz/national/education/10738477/Poorly-targeted-school-decile-funding-may-be-dropped. Singh, H. (2014). The decile drift. http://www.nzherald.co.nz/nz/news/article.cfm?c_id=1&objectid=11355827. Statistics New Zealand. (2013). 2013 census quickstats about Māori. Wellington: Statistics NZ. Retrieved at http://www.stats.govt.nz/Census/2013-census/profile-and-summary-reports/quickstats-about-maori-english.aspx. Thrupp, M. (2013). At the eye of the storm: Researching schools and their communities enacting National Standards. Herbison Lecture, NZARE. Retrieved at http://www.nzare.org.nz/past-conferences.aspx.